November 9-10 marks the anniversary of the Nazi pogrom known as Kristallnacht when the Nazi’s terrorized the Jews of Germany with violent attacks throughout the German Reich and in the Sudetenland. In actuality, the pogrom began on November 8 and continued until November 11 (in Hannover and the free city of Danzig, which had not then been incorporated into the Reich). There followed associated operations: mass arrests, detention in concentration camps, and a wave of so-called aryanization orders, which completely eliminated Jews from German economic life. 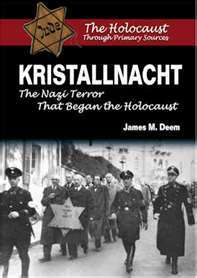 The pogrom passed into history as Kristallnacht (Night of the Broken Glass). The other ordinances added to the Reich Citizenship Law, dated November 14-28, 1935, sought to define who exactly was considered Jewish. It also created a basis for measures limiting the scope of Jewish occupations and the opportunities for young Jews to get an education. Following the Anschluss (annexation) of Austria in March of 1938, 200,000 Austrian Jews were brought under German control and exclusion of Jews from the economy began first through the removal of Jewish manufacturers and business chiefs and their replacement by “commissars” in charge of “aryanization,” the expropriation of Jewish owned businesses.From January to October 1938, the Nazis aryanized 340 middle-sized and small industrial enterprises, 370 wholesale firms, and 22 private banks owned by Jews. The November Kristallnacht pogrom was the peak of a series of events intended to expel the Jews from economic life and to force a hurried emigration. Herman Goring was in favor of the creation of Jewish ghettos in German towns. 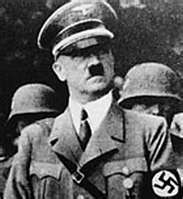 His words gave notice of a general anti-Jewish offensive in the coming weeks. The triggering of the pogrom can be attributed to the fatal wounding of the German diplomat Ernst vom Rath on November 7th 1938 in Paris by a 16-year-old Polish Jew Herschel Grynszpan. were plundered or laid waste. At least 177 apartment blocks or houses were destroyed by arson or otherwise. 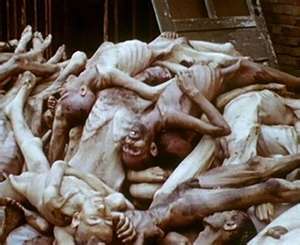 More than 30,000 Jews were sent to detention camps. 36 Jews were openly murdered. It is hard to grasp the hatred that could compel so many to unrestrained violence and murder. 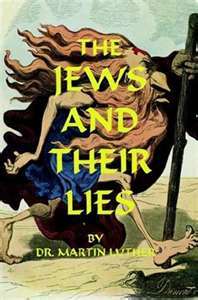 Germany had been the home to many Jews for over 900 years. The Jewish presence in Germany had help establish Germany’s high culture. In one night all that was wiped away. Most are not aware of the historical religious connections to the Nazi’s Kristallnacht Pogrom. Almost all the measures taken against the Jews during Kristallnacht and through World War Two stem from idea’s developed almost four centuries ago. For the last 1900 years, the Church has been seen as the Jewish Peoples most enduring enemy. Granted, for centuries, the Catholic Church persecuted and exiled Jews and Judaism. There were even attacks on Jews and Jewish villages, torture and public burnings and innumerable other hate crimes that could be leveled at the Church. 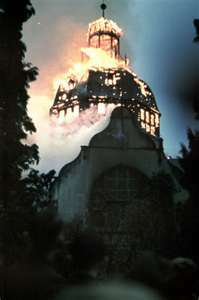 But the Catholic Church is not directly responsible for the Kristallnacht pogrom, though it certainly lent itself to the air of Jewish animosity which has most assuredly affected numerous Christians and their families including various Christian denominations. They should be deprived of their prayer books and Talmuds in which such idolatry, lies, cursing and blasphemy are taught. Let the government deal with them in this respect, as I have suggested….but whether the government acts or not let everyone be guided by his own conscience and form for himself a definition or image of a Jew. When you lay eyes on or think of a Jew, you must say to yourself: Alas, the mouth that I behold has cursed and execrated and maligned every Saturday my dear Lord Jesus Christ…. The German government enacted laws which restricted, prohibited or outlawed Jewish travel, business and education. It should be noted that Luther’s encouraged citizens to act against the Jewish people if the government would not. As a matter of survival Jews and Judaism should never forget the treatment that we received at the hands of the Christian Church, be it Catholic or part of the Protestant Reformation. History has a way of repeating itself if we lose sight of it. One story that has stuck with me for many years was that during World War Two, there was a railway that ran past a Lutheran church in some nameless German town. The Nazi’s used that rail to transport Jews to the concentration camps on a daily basis. As the train drew closer to the Church, the congregants would sing louder in order to drown out the loud engine, which they knew carried hundreds of doomed Jews to their deaths in the ovens and gas chambers. During a crucial time period, when the Christian Church could have done something about the Jewish Genocide being perpetrated in Germany, the response was deafening. Instead of organizing the great numbers of admitted Christians into a formidable force, the response was to do nothing at all. Many of the Church leaders in the Reich were crippled by fear. There were however shining lights within the Christian community. Men such as Dietrich Bonhoeffer was one of the few church leaders who stood in courageous opposition to the Fuehrer and his policies until his death in the Flossenbürg concentration camp in 1945. Israel remembers him as one of the righteous gentiles from among the nations, may his name be for a blessing. In this crucial time we find ourselves in, when the holocaust deniers are not simply crazy Nazi sympathizers, but heads of State, let us not forget the lessons of history and the key players who were responsible for laying out the plans of our destruction. Already we see the rising anti-Semitism coming from old enemies and some new. Remember……A single lit candle can dispel much darkness. Be a light in a world that grows ever dark with every moment……..Remember the past for the sake of our future.